LOS ANGELES, May 20, 2010 -- The Northrop Grumman Corporation (NYSE:NOC) Foundation is accepting teacher applications for the Weightless Flights of Discovery program taking place in Memphis, Tenn. on Sept. 16, 2010. A maximum of 30 teachers will be chosen to participate in the unique initiative that places teachers on micro-gravity flights to test Newton's Laws of Motion and energize students in the formative middle-school years. Memphis area middle-school math and science teachers in public schools are welcome to apply for the program at www.northropgrumman.com/goweightless . "The Weightless Flights of Discovery program was launched with the goal of inspiring teachers, who would in turn inspire their students to pursue science, technology, engineering and math (STEM) education," said Sandra Evers-Manly, president of the Northrop Grumman Foundation. "This program has succeeded beyond our expectations and is now very much in demand. We're delighted that 30 teachers in Memphis will join the 1,150 teachers nationwide who have participated to date." Selected teachers will participate in a full-day workshop several weeks before their flights. Teachers then will work with their students to develop experiments to be conducted in lunar gravity, Martian gravity and weightlessness environments. Following the approximately two-hour flight, each teacher will share his or her experiences with their students back in the classroom. The program targets middle-school math and science teachers primarily because the United States is experiencing a shortage of college graduates in these disciplines, a development that bodes ill for the nation's industries that depend on talented scientists and mathematicians. Because studies have indicated most children make the decision to pursue math and science education and careers during middle school, Northrop Grumman developed the Weightless Flights of Discovery to engage teachers, key influencers in the lives of students during these crucial years. Demonstrating the program's overall impact, a poll conducted in 2009 of 230 teachers who participated in the first three years of the program revealed that 84.7 percent reported an increase in the number of students interested in pursuing science- and math-related careers; and 92.3 percent reporting a notable increase in their students' overall interest in science. 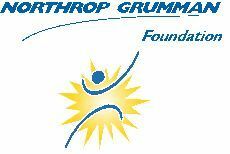 To learn more about the Northrop Grumman Foundation Weightless Flights of Discovery, please visit www.northropgrumman.com/goweightless .